This ticket gives you unlimited access to all attractions except #Starsnaps and Star Catcher. This ticket is only valid for the 4:30PM shift of your booked date. This ticket gives you unlimited access to all attractions except Kapamilya Theater, #Starsnaps and Star Catcher. This ticket is only valid for the 4:30PM shift of your booked date. This ticket gives you unlimited access to all attractions except #Starsnaps and Star Catcher. You MUST have an existing Studio XP card to avail this. Otherwise, you will need to pay for the card. This ticket is only valid for the 4:30PM shift of your booked date. This ticket gives you unlimited access to all attractions except Kapamilya Theater, #Starsnaps and Star Catcher. You MUST have an existing Studio XP card to avail this. Otherwise, you will need to pay for the card. This ticket is only valid for the 4:30PM shift of your booked date. 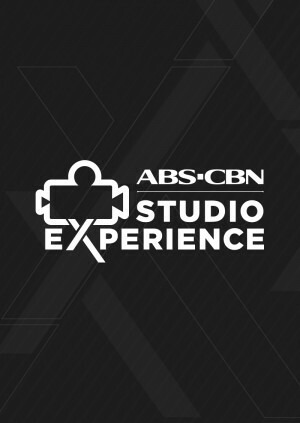 Studio XP is ABS-CBN's first Studio City that offers a unique and exciting visitor experience that lets you be the star onstage or behind-the-scenes of your favorite Kapamilya reality shows, teleseryes and movies. Dito sa ABS-CBN Studio Experience, Ikaw ang Star, Ikaw ang Bida! 1. ONLINE TICKETS are on a first-come, first-served basis. 2. Studio XP is located at the 4th level (Cinema Level) of Trinoma, Quezon City. The studio city is right between McDonald's and Wee Nam Kee. 3. To enter, please go straight to the TICKET COUNTER BESIDE MCDONALD'S. Bring your printed tickets with barcode or a screenshot of the online ticket. 4. Your ticket is only valid during your booked shift. You are not allowed to extend your stay up to the next shift, nor use your tickets to another date. 5. Studio XP uses some light and sound effects that may trigger pre-existing medical conditions such as epilepsy. 6. Parents and guardians are responsible for the safety of their children while inside the studio city. 7. Bringing in of food and beverage is not allowed. You may get your fill at Heroes Burger inside Studio XP. 8. You may take photos and videos all you want but some attractions do not allow photography and mobile phones. Please be mindful of the restrictions.